(Natural News) For over half a century, the relationship between wheat consumption and the development of certain mental disorders was unclear. This, despite previous reports that indicate that the connection is due to the presence of a variety of pharmacologically active properties in wheat. More recently, however, researchers have discovered that due to the gluten component of this grain, blood flow to the frontal cortex of the brain is cut off – which could explain its link to conditions such as schizophrenia. In 1997, a case study was conducted involving a 33-year-old patient who was diagnosed with schizophrenia. At first, the patient came to the doctor complaining of severe diarrhea and weight loss which happened to be common symptoms of gluten intolerance. Furthermore, hypoperfusion was happening in his brain, according to brain scan results. To check whether the 1997 study was just coincidental, follow-up research was done involving people who have celiac disease – an immune reaction to eating gluten. In total, 15 celiac patients who have been on a gluten-free diet for almost a year, and 24 perfectly healthy subjects took part in the study. All participants underwent cerebral single photon emission computed tomography examination, and the results showed a significant increase in impaired blood flow among untreated celiac patients. “Of the 15 untreated celiac patients, 11 (73 percent) had at least one hypoperfused brain region, compared with only 1 (7 percent) of the celiac patients on a gluten-free diet and none of the controls,” researchers explained. They concluded that celiac patients who were left untreated experienced regional cerebral blood flow alteration. Hypoperfusion is the decrease of blood flow through organs. Any hypoperfused organ suffers from low levels of oxygen (hypoxia), as well as nutrient deficiency. Suffering from hypoperfusion ultimately causes an organ to function in less-than-optimum condition. Hypoperfusion is scarier if it involves the brain especially since researchers have proven that the brain requires copious amounts of oxygen, and the whole body relies on the brain for it to function normally. Even more so, adverse effects happen to humans when the frontal cortex is affected since it is responsible for matters like motor function, problem solving, memory, language, judgment, impulse control, and social and sexual behavior. Based on these findings, researchers concluded that abstaining from wheat consumption is a reasonable precautionary measure to avoid damaging both brain and body function. 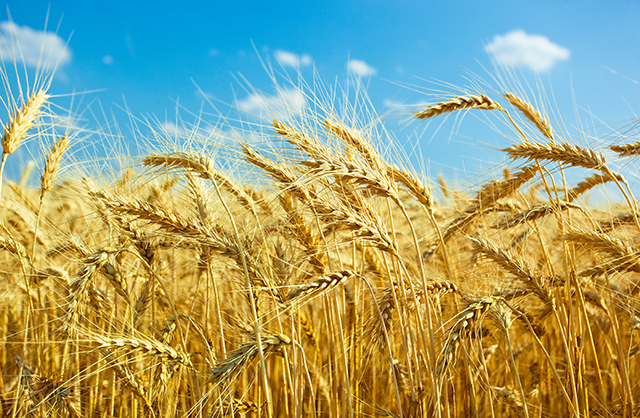 Wheat is considered one of the most important crops among hundreds out there since it’s being used as the main ingredient in a lot of our favorite foods. From bread to pasta, cakes, and other pastries, wheat can also possibly be found in products such as baking powder, cereals, cheese spread, pancakes, pizzas, and salad dressings. Know more about other causes of psychiatric conditions at Psychiatry.news now.